Production of “Fidelio” by Calixto Bieito is already 6 years old, but somehow I have missed the opportunity to get to know it earlier during my previous, quite frequent trips to Munich. Also this time Fidelio was not a primary choice since it came as convenience add-on following highly anticipated Meistersingers, with hope to witness Jonas Kaufmann which never materialised due to cancellation. 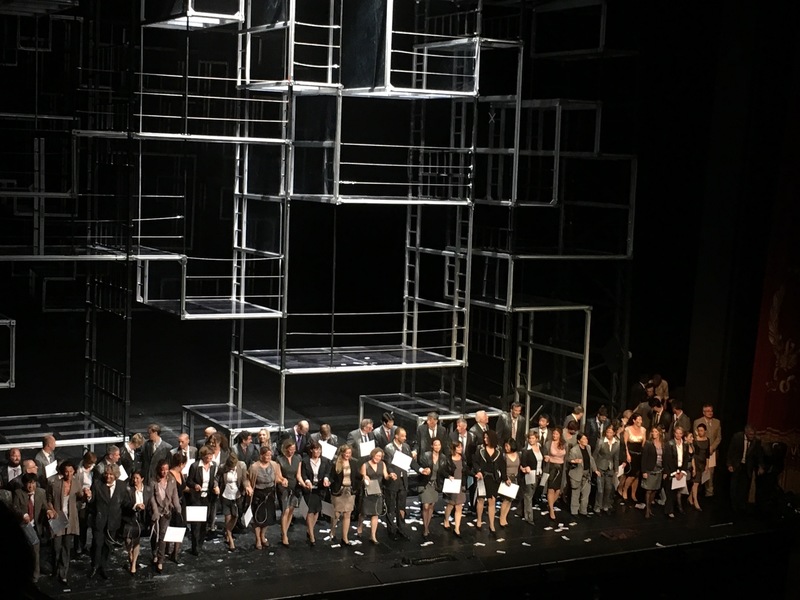 Neverteless, Bieito production itself is quite an experience thus even after news of Meistersinger changes I had high expectations for the performance. The lead roles were cast well – both Anja Kampe and Klaus Florian Vogt are promising protagonists. The scene opens with declamation from Leonora, and is built from labyrinth, first in fully vertical setting. Bright light blinds audience and lighting imitates water reflections from the distance. Many extras are moving through this maze, seeking way out, giving up or keeping moving. At the same time orchestra plays overture and the constant movement is becoming at times bit distracting, especially as it is obvious that all performers have particular climbing equipment detail with added security cable, which is sometimes clipped and unclipped from safety barriers without a specific reason. 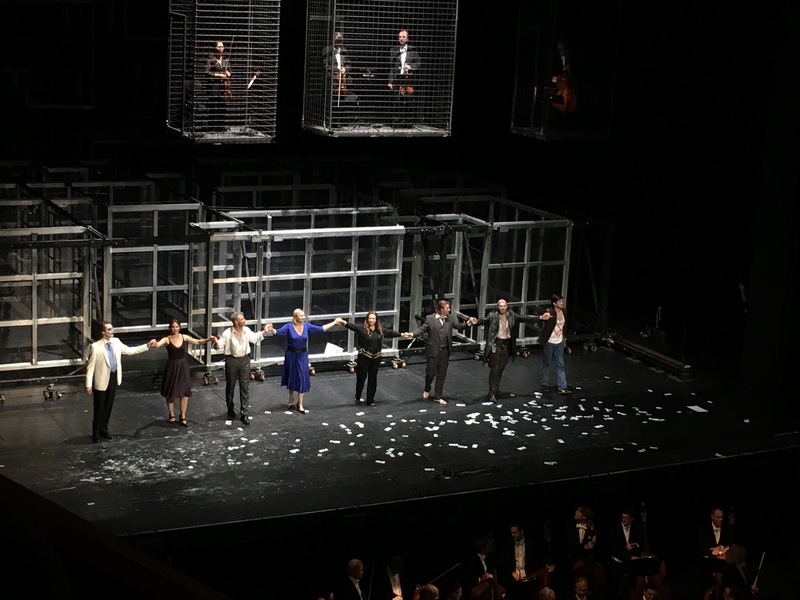 Impressed by design of sets, of some creative solutions- like flying acrobats above the maze, but confused by a lot of details that did not add to philosophical depths of Beethoven and his librettists. The sets stay the same throughout the performance, and are moved either further away from the audience or moved from vertical to horizontal position with help of hydraulic system inbuilt thus creating an actual maze on the floor. Also, musicians substituting Leonore overture with another Beethoven movement are locked in cages descending from the ceiling. So, that tells enough about imprisonment and lack of free movement. Probably this is the final symbolic hint to be read, as most of the action reminds of second rate action thriller with good guys and bad guys where good guys win at the end and perpetrators are punished by the good king. Most of the activity seems even too ironic and makes me question if this has been original intent of Bieito – especially when Don Fernando appeared as Joker (from Batman saga) with full facial makeup – it turned into a farce, asking who is then good guy actually? 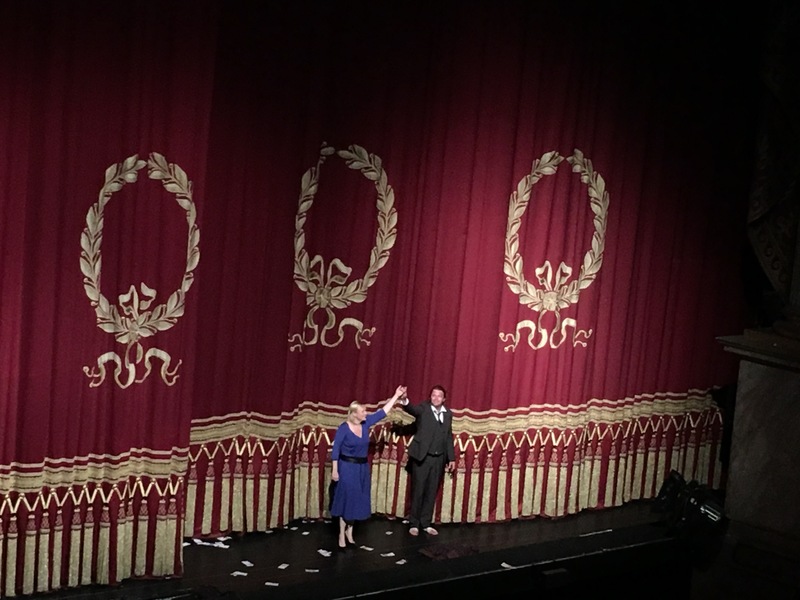 In the context singers carried the most of the weight – as expected Anja Kampe was passionate and convincing Leonora/ Fidelio, Günther Groissböck delivered multifaceted vocally and dramatically engaging Rocco, there was well sung Marzelline by Hanna-Elisabeth Müller (she got very enthusiastic audience reception at the curtain call), and less than expected interpretation of Florestan by Klaus Florian Vogt. Compared to recently heard Lohengrin where he demonstrated even tone, nuanced treatment of text and ability to use his beautiful vocal instrument to portray extended emotional palette of the protagonist, last night it felt that unfortunately it has been wrong casting decision – or just not the best day. The singing as well as acting did not paint the character tortured and facing death threats, partially coherent to recognise own wife and saviour. 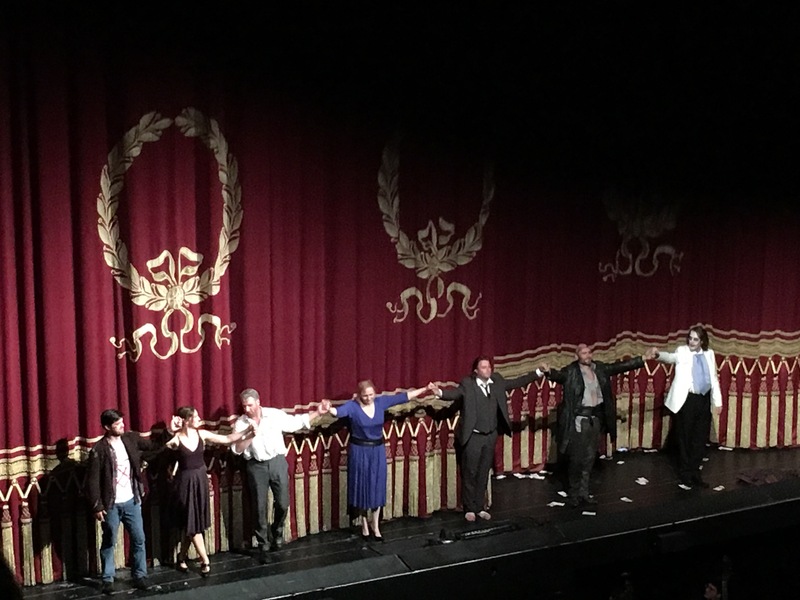 Thus I have been wondering most of the evening if this is the same opera I have seen before, especially in comparison of interpretation by originally cast Jonas Kaufmann – heard and seen in Salzburg? 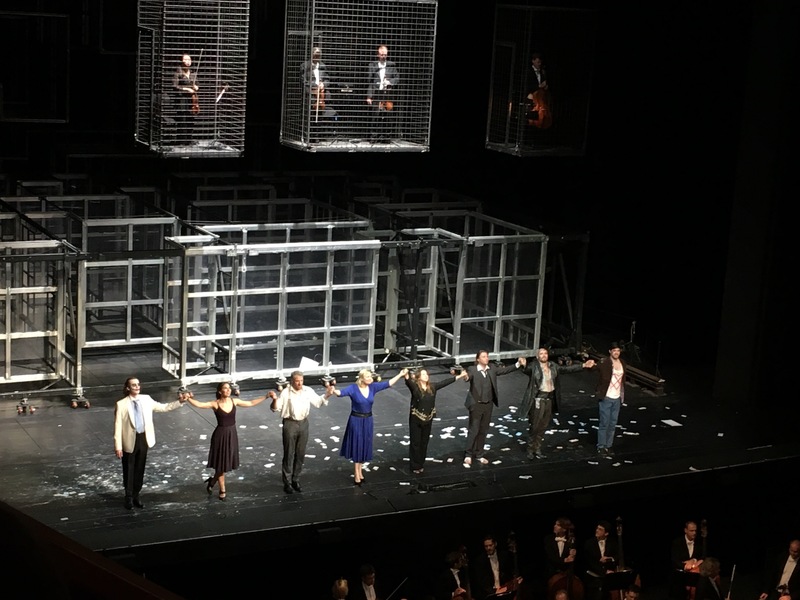 Simone Young was conducting energetically, and the orchestra responded quite well, her and orchestral performance was highly appreciated by the audience, and I have to admit that sound was typically good Bayerische Staatsorchester, no doubt in that. What comes to respective cuts and substitutes, I would better prefer original version with Leonore overture and more even tempi. In overall, it has been an explorative journey in various possible readings of Fidelio story – and I believe some more to come in the future.